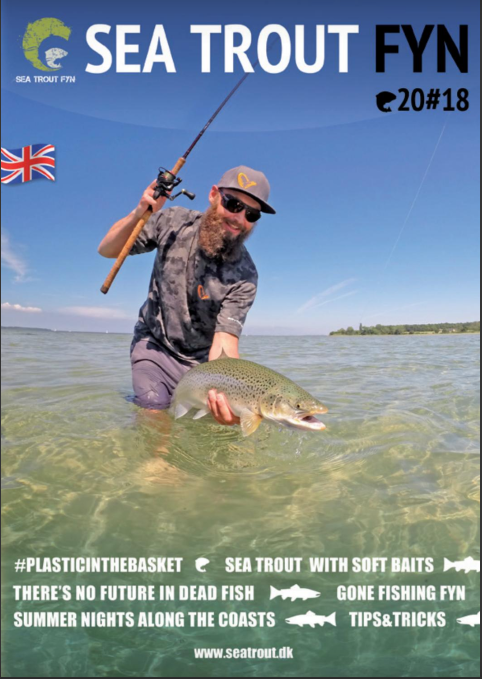 The 2018 edition of the Sea trout Fyn magazine is finally published. You can either get a paper-version in the tacklestores or tourist agencies around Fyn. This issue contains a lot of thrilling sea trout experiences, and also some decent tips&tricks. Have you ever thought about catching sea trout with softbaits? After reading this edition you might be tempted to do so! This is the magazine that will give you an 360° experience of sea trout fishing. Everything concentrated around the island of Fyn, Ærø & Langeland.